The way we perceive cloud hosting and use cloud computing will undergo a massive change with the emergence of the new technology popularly called The Internet of Things. As the Internet becomes available to more and more people all across the globe, costs of web connectivity are also lessening. More and more gadgets and devices are being invented with Wi-Fi capabilities. Technology expenses are being cut down and smartphone penetration into our daily lives is constantly on the rise. The atmosphere is just right for the IoT to arrive. With the Internet of Things, all devices which are capable of Internet connectivity can be connected to one another. 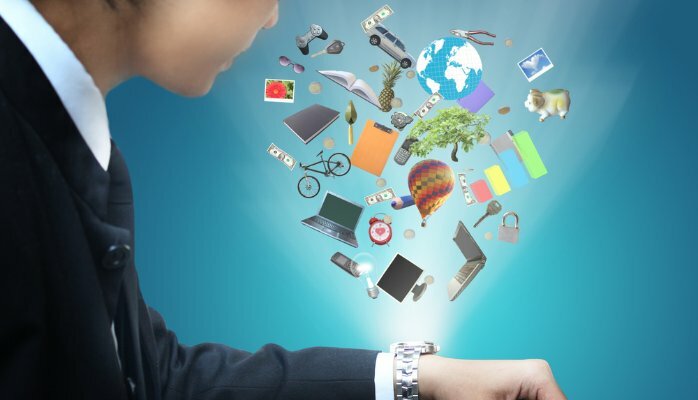 This will include a gamut of objects including cell phones, washing machines and coffee makers, wearable devices like smartwatches, smart cars, headphones etc. So, in short, the IoT is destined to change the way we lead our daily lives. The IoT is still in a nascent stage but is likely to grow dramatically in the next few years. More and more individuals are expected to connect to the web through thousands of applications and devices. And to make this happen, it is important for cloud computing to play a crucial role. The cloud is believed to be the only platform which can offer the kind of scalability and flexibility which the IoT technology demands. The IoT is predicted to have more than 4 billion people using nearly 3 billion devices by the turn of the decade. This statistic is almost twice the number of connected technologies which we have today. The IoT is meant to allow such web-enabled devices and applications to be omnipresent. With the expansion of the IoT, cloud computing will also expand. You are likely to witness the emergence of many more start-ups. These will offer new services and devices which will be ideal for cloud hosting providers. Such start-ups are likely to embrace cloud hosting because of their utility payment structures. They will not have to make upfront payments and they can pay only for resources they use. Another change can be seen in the emergence of cloud technologies in developing countries. Nearly 90% of revenues from IoT can be attributed to these countries. While this number may decrease once the developing nations have come at par with the developed ones, they will continue to serve as an excellent market. Finally, data analytics will grow more and more accurate as far as predicting consumer behaviors is concerned. Today you will find thousands of devices interconnected to one another within a data center or in any workplace. This number will multiply several times in the next few years. Every object from cars to air-conditioners will be equipped with web intelligence. So, the demand to move real computing closer to devices is becoming high. The IoT relies on data management across short time periods. So, when there is even a very small delay in bandwidth, it is not acceptable. For instance, when a smart car is moving through traffic, its built-in system is constantly analyzing the weather conditions and traffic around it. This data analysis cannot take long; else, there may be an accident. Similarly, there are boring machines at mining sites have to continuously analyze and store huge volumes of data. This is because there is hardly any network connectivity so many feet below the ground. The miners have to communicate with the central server and the infrastructure, and upload mining-related data to the cloud. These instances show how the traditional cloud model can benefit these new web-enabled devices. It exposes the relationship between IoT and the cloud; the cloud is undergoing changes to cope with new workflows and business processes. As data increases and the usage of cloud computing grows, fog computing is going to be important for reducing latency, contributing to better user satisfaction. The Internet of Things and cloud computing together help to make our daily lives simple. They share a complimentary relationship. While the IoT will generate a huge amount of data, cloud computing will make the pathway for that data to travel to the target destination. These two technologies will work side by side to change the way huge amounts of data can be stored and transmitted in the future.